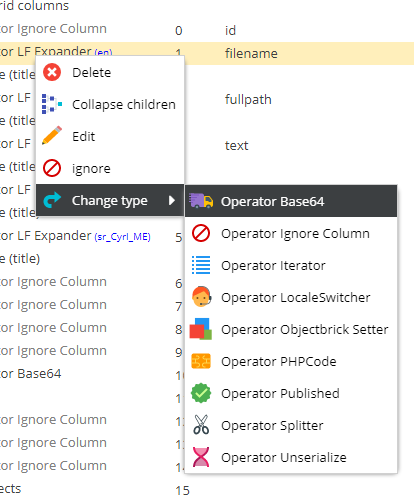 Change the type by either dropping a operator on a Ignore node or via the node's context menu. 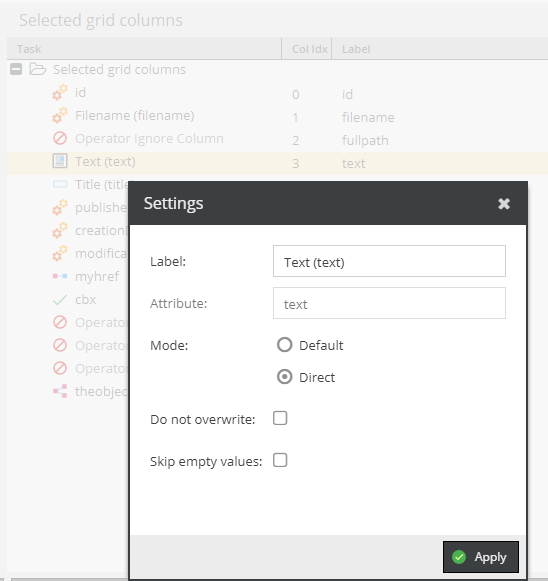 Mode: Default means that the CSV data goes through the data type's CSV processor. Direct sets the CSV data directly. This can be useful if the data has been processed or manipulated by another import operator already. Do not overwrite: Do not overwrite existing object data. Skip empty values: Skip empty CSV values. Operators can then be used to change the way how the data is processed.